(1) The India Captain Mahendra Shingh Dhoni gifted gloves he wore in the match against Pakistan to Akshay Kumar. Akshay Kumar feels MSD is the best thing to have happened to Indian cricket in a long time. He has never met him.After he gave Virat Kohli the Man of the Match trophy, he congratulated him on the victory. He told him that it was a superb match for India, especially as it was a difficult target to chase. He also mentioned that he's a big fan. Little did he know that Dhoni would be gifting him his gloves later that night." As per Latest Akshay Kumar Twitter Page Updates, he wrote that, "Dhoni, don't worry, true lovers of Indian cricket are behind you in every step of the way man. Everyone's gotta hit Rock Bottom, it's the only way one can storm it back to the Top... just think about the series, day by day, dear friend. 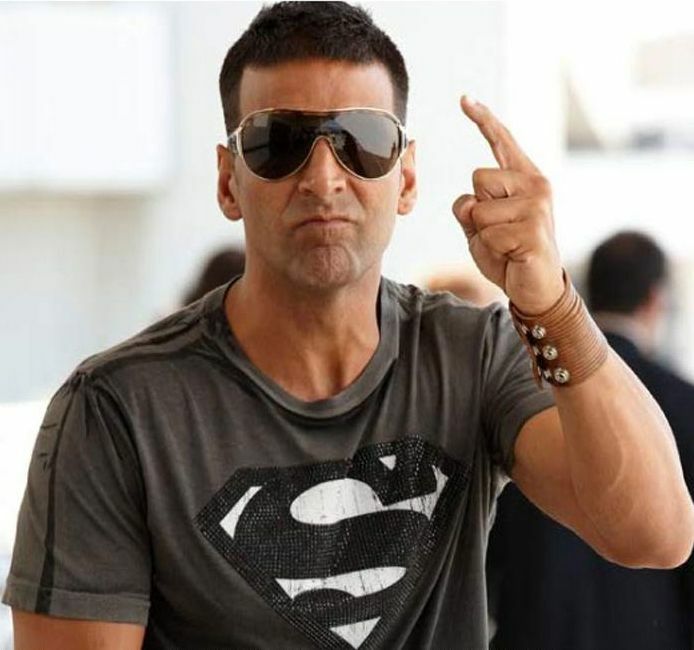 Everything else comes later dude..."
(2) Akshay Kumar Character in "Housefull 2" are inpired by the way veteran actor Ranjeet used to ogle at women in his earlier films. As per Latest Bollywood Interviews, he said that, "My character takes little inspiration from Ranjeet sir. Like he used to be in his earlier films. It does not take from the negative shades of Ranjeet but the way he used to look at the women."